Truecaller App UPI Offer – Hello Wap5 Readers! Here i am back with a New Offer from True Caller App. With a community-based spam list updated by millions of users worldwide, Truecaller is the only app you need to make your communication safe and efficient. 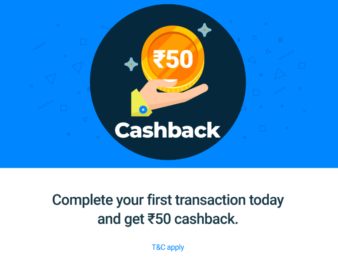 Truecaller is now here with their UPI offer named TrueCaller App UPI Offer where you will get Rs.50 Cashback on your First UPI Transaction. Here i am Giving you a Step by Step Method to Get Free Rs.50 Cashback in your Bank Account from TrueCaller App. You have to just make first transaction and it’s done! Follow Given Steps Below!! 2. Install it From Play Store and Just Open App. 3. Now Login or Sign Up Using your Google Profile or Facebook Profile and Move to Dashboard. 4. Now Click on Banking Option From Bottom Tab and Click on Get Started Option. 5. Now You will Able to See a Banner Like Below if you’re eligible Customer of ICICI Bank Only. 6. If Above banner is not there then you’re not eligible with this Offer. 7. 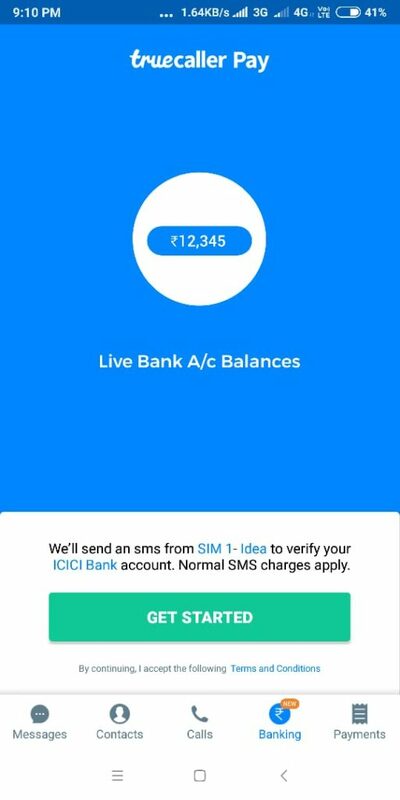 Now Your Account has been Linked and just make a First UPI Transaction worth Rs.500 or More to any UPI Address. 8. 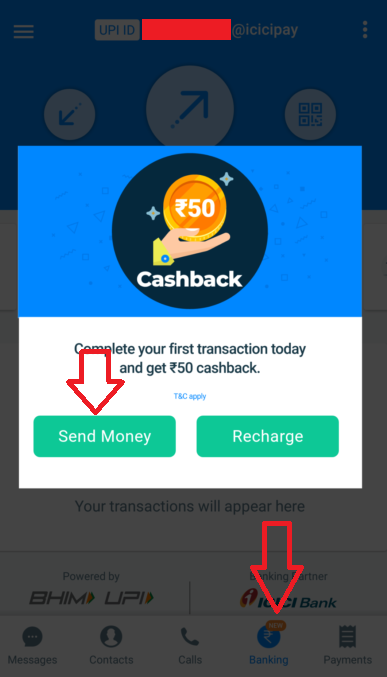 You will Get Rs.50 Cashback in your Bank within 7 Working Days of time. 10. Do Share this Post with Your Friends and let them Enjoy with this True Caller Rs.50 UPI Offer.